Mercedes Lamborelle is a swiss peruvian Communication Specialist and video producer whose work focuses on trade and development subjects. In Switzerland she worked in United Nations as a Communication Specialist and in e-Learning projects. She is a creative Graphic and Jewellery Designer and works with women weavers designing and promoting textiles and accessories in alpaca fibres. Her brand AWANA Alpaca is commercialised in Switzerland. Mercedes's work has been featured in international publications and media. Ancient Peruvians considered alpaca fibers as fit for dressing their gods. As much as 80% of alpaca production is concentrated in Peru, and competes in the international markets with fibers as exquisite as cashmere and mohair. Its exceptional quality is distinguished by its great versatility, available in natural shades of white, gray, brown, beige and black. 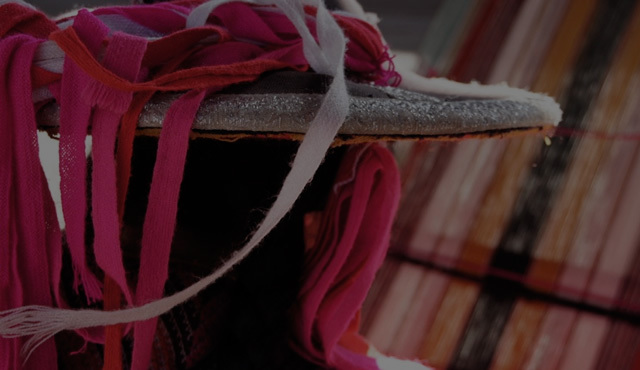 We have the finest and most luxurious fiber of the world, the alpaca, that is to say that we need to add value through textile design to position the "Brand of Peru" in the global markets.